Universal City, CA (June 24, 2014) -- Since the era of silent films, Universal Pictures has earned a reputation as the home of the monster movie, producing landmark films that defined the horror genre for all time. Now for the first time ever, all 30 Universal Classic Monster films will be available together on DVD in the Universal Classic Monsters: Complete 30-Film Collection , available on September 2, 2014. 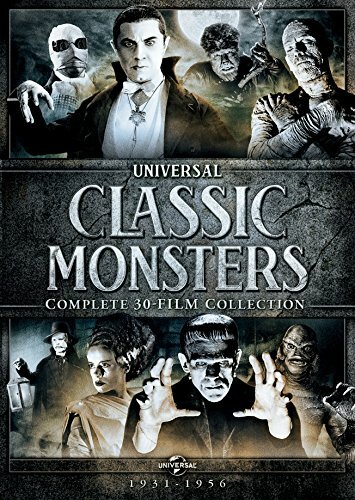 Universal Classic Monsters: Complete 30-Film Collection showcases every original film featuring Hollywood's most iconic monsters, including Dracula, Frankenstein, The Mummy, The Invisible Man, The Bride of Frankenstein, The Wolf Man, The Phantom of the Opera and The Creature from the Black Lagoon.